It would be good to establish a common language or “lingo” for our Hanging Collectibles, especially when referring to the different types of packaging. 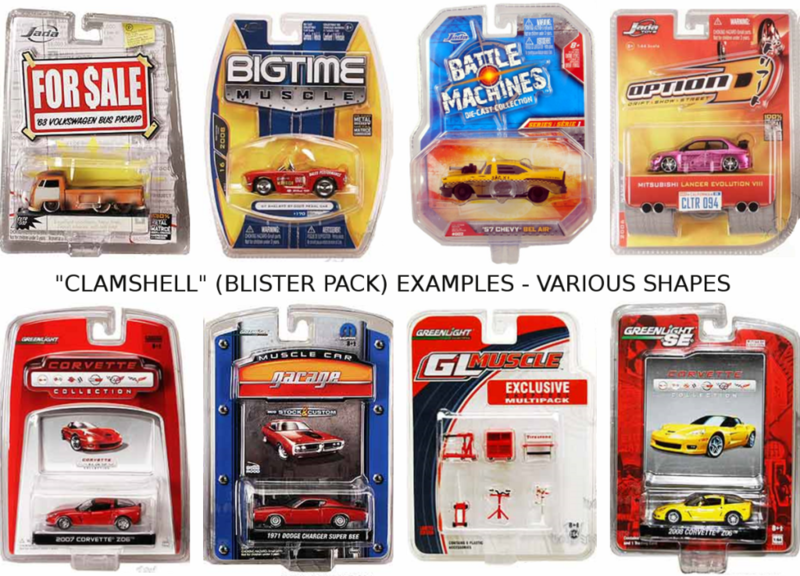 We will concentrate on those typically used for Hanging Collectibles (again, we will focus a bit on die-cast packaging). That said, what is the Package Lingo so we are on common ground? The packaging design really comes from the retail manufacturing industry. How to present the products the best way in the store for people to see and buy. And doing so while keeping costs down and the products safe & secure. Here are the main types, understanding that there are always slight variations to each. Again, we will try to concentrate on those typically used for Hanging Collectibles. 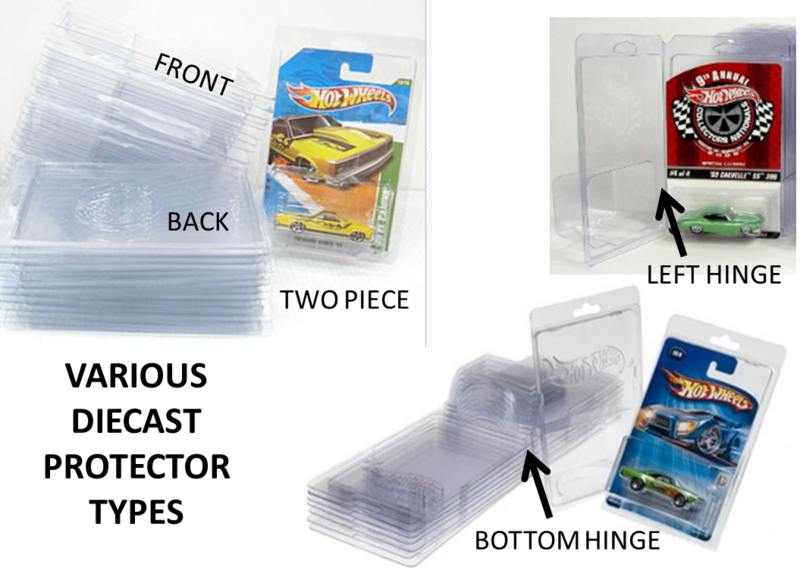 As you see these, remember that Collectible Hangers can be used with ALL of these package types!